It is such a miracle to see the strength and beauty of the female body. For mama Katie, it had been over 19 years since her first baby was born. 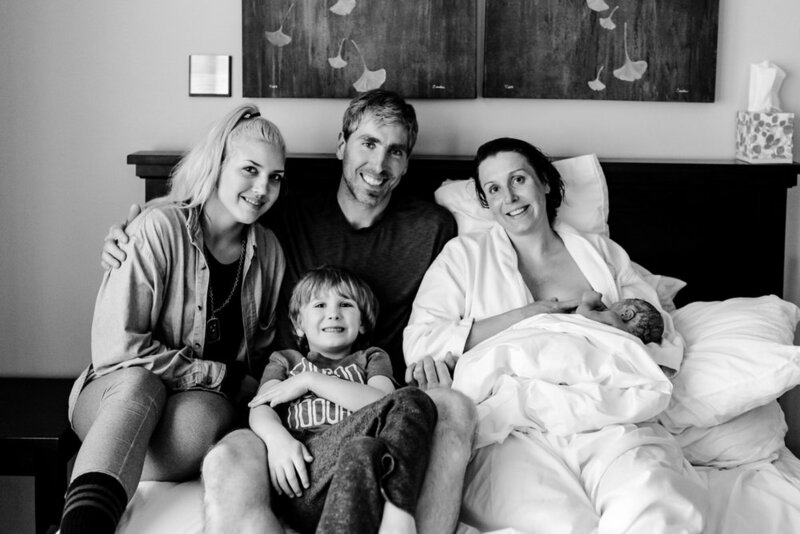 Joined by hubby Todd and their two older children, Katie chose to have a water birth for baby #3 at the Health Foundations Birth Center in St. Paul. It was a perfect Saturday in May, 72 and sunny and a great day for a birthday! After a walk around the Grand Avenue neighborhood to move things along, Katie returned to her relaxing birthing suite. 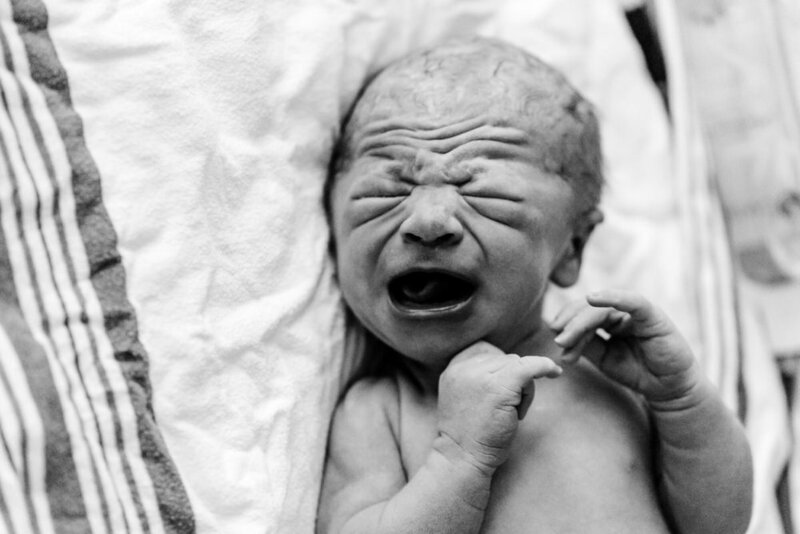 As things progressed, she chose to labor in the birthing tub for much of the time, but also tried several other birthing methods to bring her sweet baby boy into the world. After several hours of labor, Katie was back in the birthing tub. A few more pushes brought the arrival of Baby Kalan at 2:44 PM, weighing in at 7lbs 9.5oz, and measuring 20.5" long. Congratulations to the N family! Enjoy all those newborn baby snuggles!